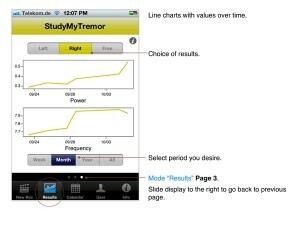 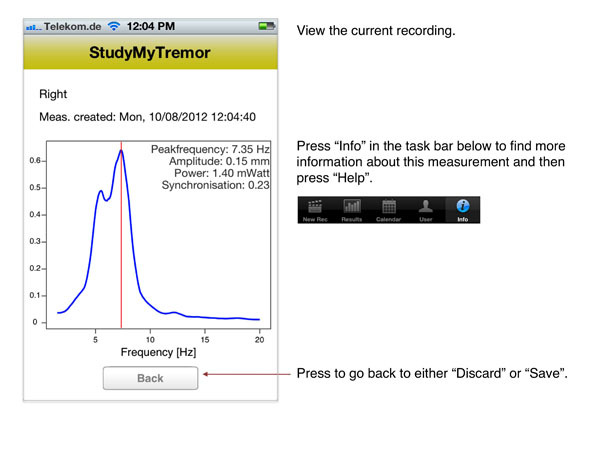 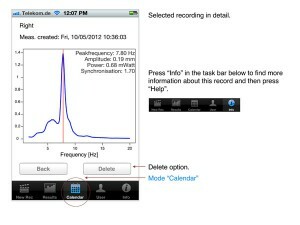 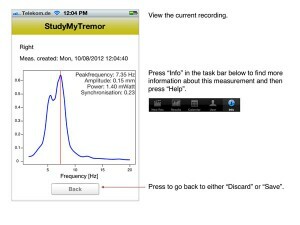 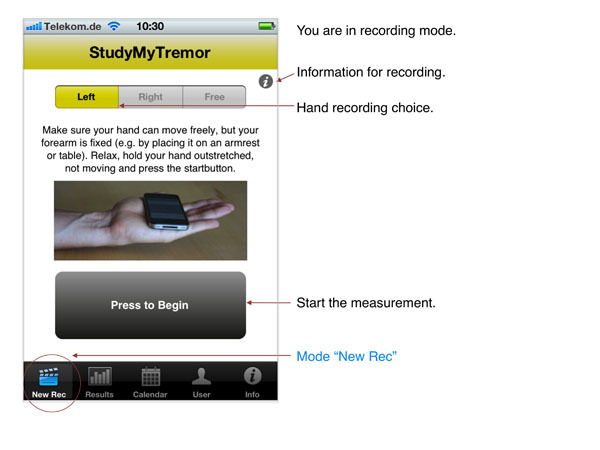 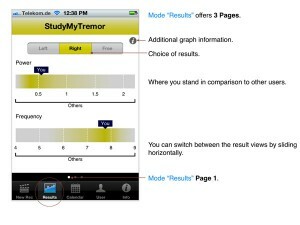 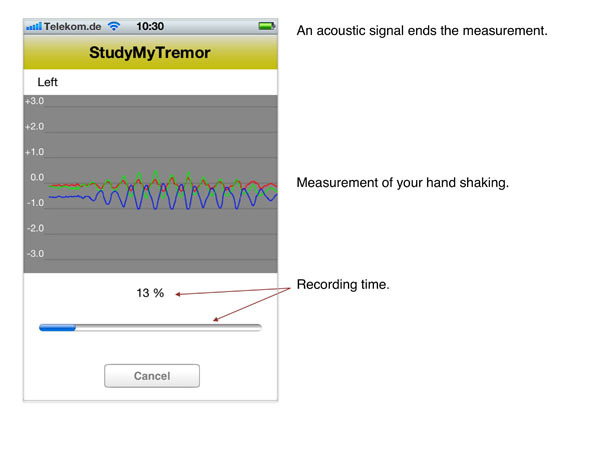 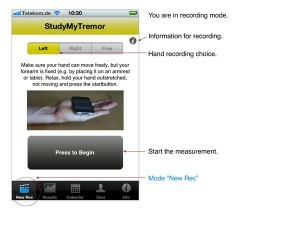 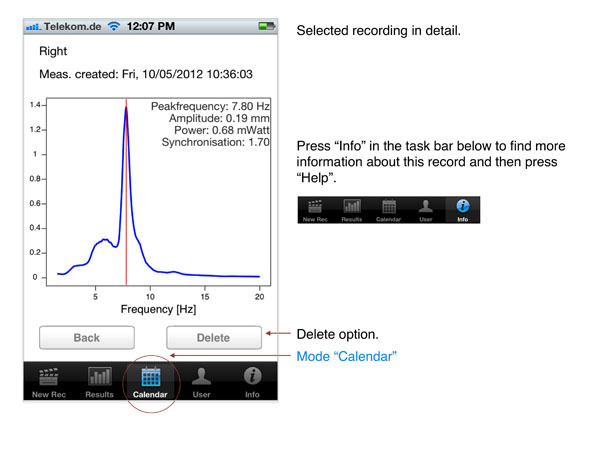 This application uses a highly sophisticated, scientifically proven algorithm to measure and analyze the trembling of the hand, the so called tremor. 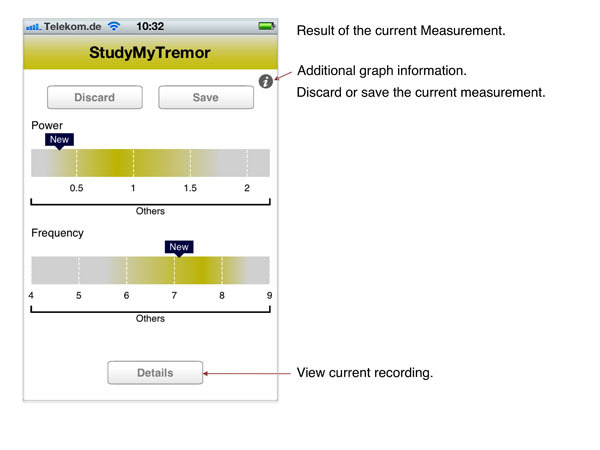 It gives you the ability to measure and quantify your tremor and to keep track of your values.The main goal of your measurements is to track your tremor and to compare it with previous recording. 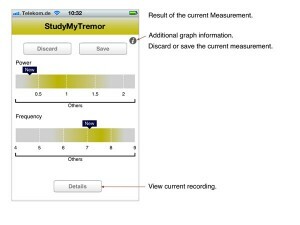 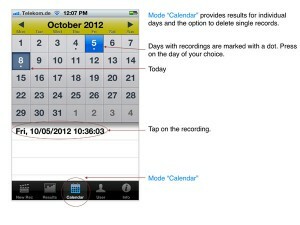 Therefore, it is pre-requisite to standardize the measurement condition.